Dr Tanya Doman (Yousry) has been a licensed Physical Therapist for over 25 years — the majority of those years include animal education & experience! After graduating at the very top of her class, she became skilled in all aspects of therapy - pediatrics through geriatrics - and with a special emphasis on sports medicine. Then in 2000, a lifelong love and experience with all different animal species and breeds (as an owner and exhibitor) married together with the idea of treating four-legged, furry individuals — originally born out of her own animals’ necessity — and at a time when very few professionals were pursuing, or had even heard of, this niche practice area. Since then, she has completed extensive education to further her knowledge of these special, non-human clients! She is a frequent attendee at veterinary symposia across the country as well as an avid analyzer of cutting edge research so her treatments and information regarding animal rehabilitation are modern, effective and evidence-based. As a season clinician, Dr Doman has vast experience with wellness programs, post-injury rehabilitation and the use of modalities as well as their purpose. She has successfully “rehabbed” many pets with various dysfunctions (including severe neurologic injuries) get “back on all paws,” as well as many top competitors return to their sport! She is a Certified Strength and Conditioning Specialist (NSCA), Certified Equine Sports Massage Therapist (ARI), Registered Yoga Teacher (YA), Certified Small Animal L.A.S.E.R. Practitioner...to name a few! In addition, she is one of a small group of Physical Therapists certified as “Expert Consultants,” as well as being a “Practice Monitor” and serving as a “Subject Matter Expert,” by the Physical Therapy Board of California. Dr. Doman has also been an Expert Witness on civil legal matters related to Physical Therapy. She served as the California Liaison to the national APTA’s Animal Rehabilitation Special Interest Group since the near-inception of the program until 2015 and has remained a tireless political advocate for animal care and standards for decades. She is licensed in California, Tennessee & Colorado and successfully obtained her “Authority to Treat Animals” status by the Colorado licensing board in 2012. In her occasional off time, she is a self-confessed shopaholic, popular fitness instructor and enjoys amateur free diving in various tropical locales. 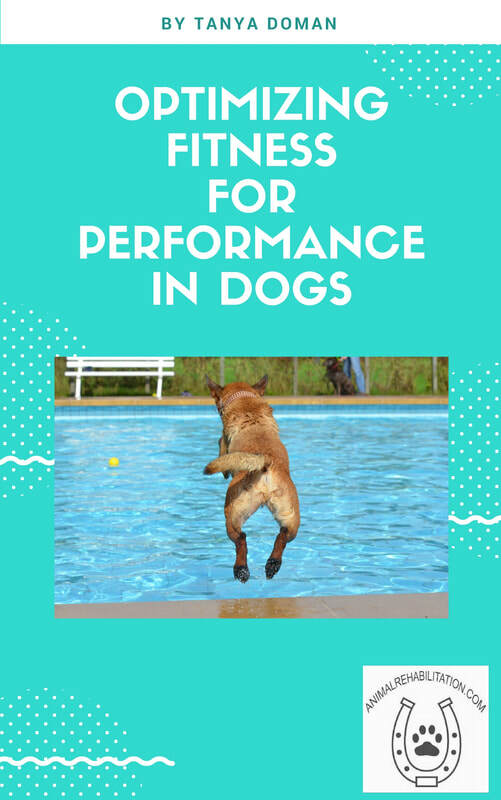 Purchase "Optimizing Fitness for Performance in Dogs"